Early LED streetlights were "cool" in color appearance, producing correlated color temperatures (CCTs) of 5000 K or higher. More recently the industry standard for CCT of LED streetlights has been around 4000 K, similar to that of many mercury vapor and metal halide lamps used in some roadway lighting. Citing potential impacts including glare, optical radiation hazards and circadian disruption, as well as effects on wildlife near lighted roads, the AMA recently recommend the use of "warmer" appearing LED lights having a CCT of 3000 K or lower. Newer LED streetlights with these lower CCTs are beginning to be available in the marketplace. More than ever, it's important to understand the consequences of using LEDs varying in CCT. To further this understanding, a panel session entitled "Addressing Concerns about LED Street Lighting" will occur at the Annual Meeting of the Transportation Research Board (TRB) of the National Academies, to share the latest evidence about the potential implications of LED roadway lighting on humans and other species. The session is sponsored by the TRB's Committee on Visibility and co-sponsored by the Committee on Ecology and Transportation. 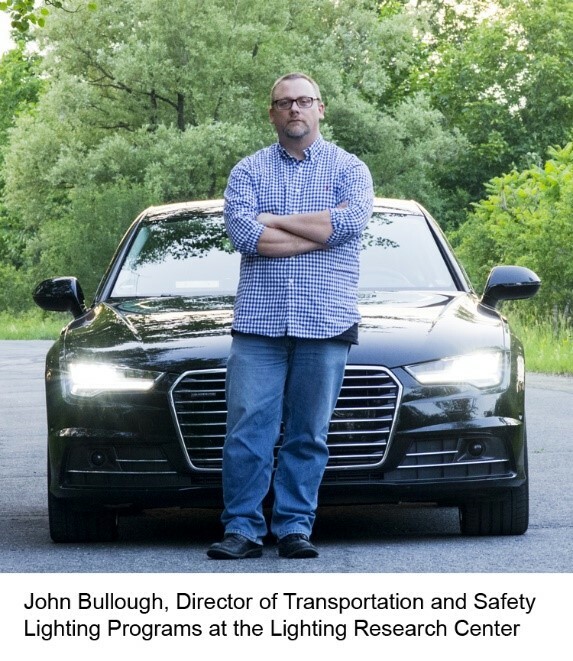 The panel was organized and will be moderated by John Bullough, Director of Transportation and Safety Lighting Programs at the Lighting Research Center at Rensselaer Polytechnic Institute. Bullough also serves as Chair of the Visibility Committee. According to Bullough, "Road lighting specifiers have primarily been concerned about the safety benefits of roadway lighting, and LED technology has the potential to enhance those very real benefits. And there is growing awareness of the collateral effects of lighting, particularly with LEDs. An objective of this panel session is to enhance that awareness with data from disciplines not traditionally associated with the engineering of roadway lighting systems."